Outdoor News has partnered with award-winning chef and author, Hank Shaw, in publishing an excerpt from Shaw’s latest cookbook titled “Pheasant, Quail, Cottontail — Upland Birds and Small Game From Field To Feast” that will appear in the pages of Outdoor News publications beginning Oct. 12. Shaw’s recipe for Grouse Northwoods is a dish designed to evoke the forest of the Minnesota Northwoods infused with mushrooms, wild rice, and tart cranberries. Shaw, who writes a James Beard award-winning food blog titled: “Hunter, Angler, Gardener, Cook” has become a household name among hunters and locavores. 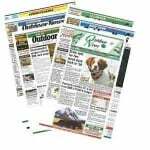 His latest Outdoor News contribution follows previous articles he shared which focused on instructions for preparing wild game harvests including waterfowl and venison. 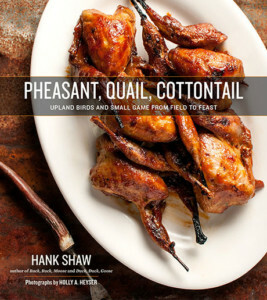 Taste of the Wild readers can watch out for an upcoming promotion through Outdoor News that will award all three of Shaw’s famous cookbooks including “Pheasant, Quail, Cottontail,” “Buck, Buck Moose,” and Duck, Duck, Goose”.